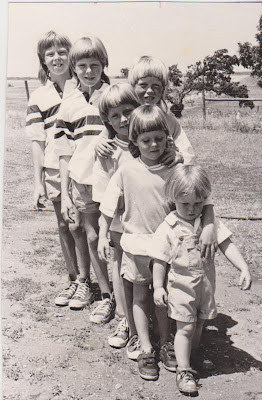 Andrew is at the front of the stair step of children... and was this age when he watched his onion every day. With temperatures cold enough to chill one to the bone, it is difficult to imagine that spring is just around the corner. However if in doubt, check the potato bin for it is impossible to slow the internal clock that is telling them to sprout for spring. Even though it is still barren, the garden is hearing the same call as the spuds and action is occurring underground. Quite suddenly when one can not bear it a moment longer, spring will arrive with a whisper of tender green... winter never lasts forever, it simply seems so. 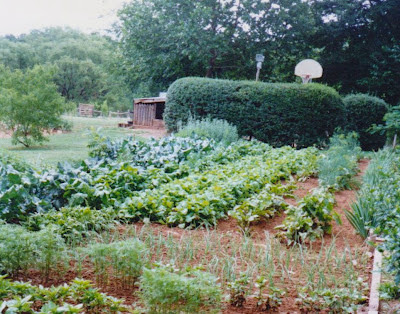 To occupy ones thoughts this month perhaps plan a place in the garden which includes vegetables for children. With poor eating habits a national concern, encouraging a love of fresh food begins with toddlers and habits that are established in childhood will last a lifetime. 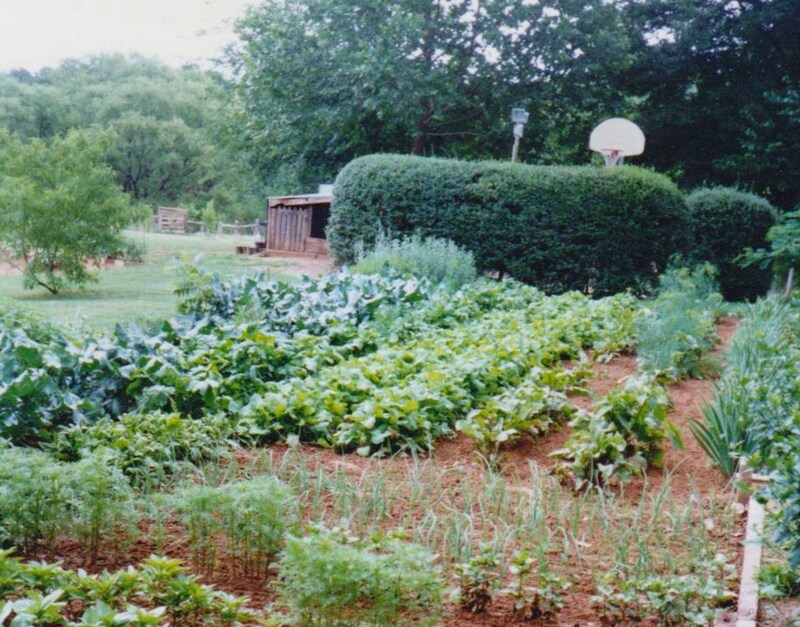 Besides providing sunshine and exercise, a garden inspires by giving children the joy of accomplishment as they plant, pick and eat what they have grown. 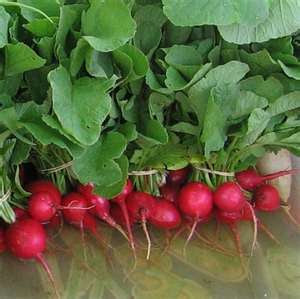 The trusty radish is perhaps the most rewarding for first time child-gardeners because of its rapid maturity. Often called ‘quick grows’ they easily germinate within three to five days and are ready for harvest by three weeks! Since children enjoy ‘grazing’ while playing outside plan to include some English peas. Among the oldest cultivated plants, peas found in a cave in Burma have been carbon dated back 9750 years indicating they have been used by mankind for quite some time. Rich in vitamins, they arrive at the garden party early and not only withstand cooler temperatures, they require them. With their cute little pod which resembles a ’carrying case’ and sweet little lines of baby peas, their appeal to youngsters is universal. Carrots are good as well and provide a multitude of antioxidants and minerals. The old adage about eating carrots to improve vision is true as they are a rich in vitamin A, which is necessary for good eyesight. Besides possessing an attractive lacy top until harvest, tender baby carrots have a sweet delightful flavor that includes a crunch! Onions are a wonderful cool weather crop as well and watching sets come alive and grow is exciting. They have been a global sensation for over 5,000 years and have been consumed by all cultures. Onions have anti-inflammatory and antioxidant properties and lower cholesterol. They may be boiled, with the strained water used to effectively reduce fever. The list of medicinal uses is endless, making them a very important addition to the diet. When our last son was about three, he was patiently watching a large one grow. Each day he asked to pull it and each day we responded with ‘not yet‘. One evening we carefully dug it and tamped in a nine inch, three pound onion we had purchased at the Farmer‘s Market. The next morning we told him ‘now’. The entire family was ‘in’ on the joke and gathered to watch as he tugged and struggled. He finally managed to pull our imposter, falling backwards in the process. He was delighted with his ‘big ol‘ onion‘! Nothing is more satisfying than watching a child’s joy with the discovery that food not only comes from the grocery store... it may actually be grown!